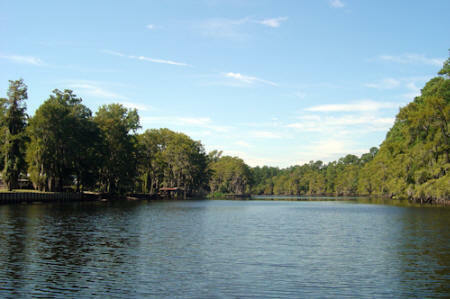 Caddo Lake State Park is a wonderland of wildlife. I was there in the fall of the year and we had the place to ourselves. 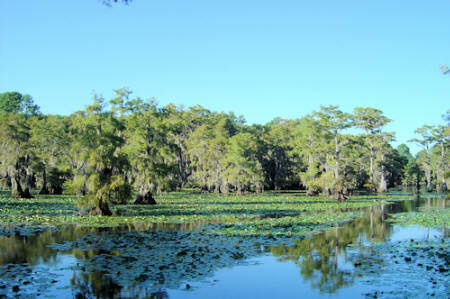 The park is not actually located on Caddo Lake but on Big Cypress Bayou that is connected to what is often referred to as the only "natural" lake in Texas, Caddo Lake. That "natural" label, meaning not create by a man made dam as are all other lakes are in Texas. It was one of the largest "natural" lakes in the South. According to Caddo Indian legend the lake was formed by an earthquake caused by a Caddo chief's failure to obey the Great Spirit. It's a nice story but it was actually create by a log jam in the Red River called the "Red River raft". In 1878 the U.S. Government they used that new invention "dynamite" to destroy the raft. Since then the have been a series of dams to help maintain the Lake level. 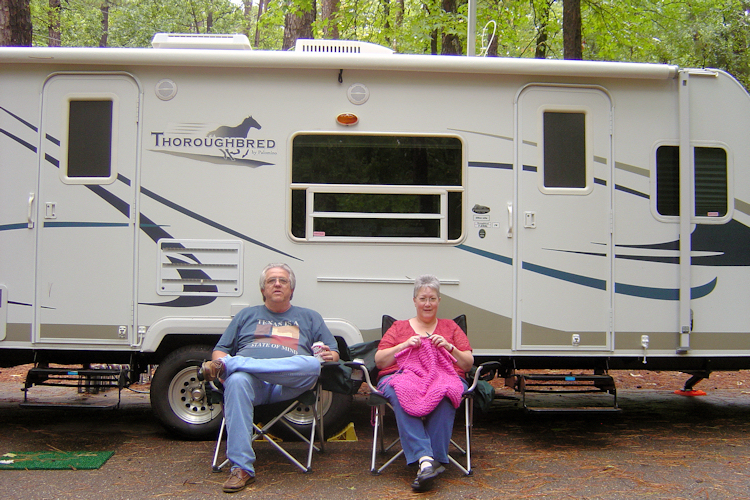 The camp grounds are well maintained and there is a concessionaire that will take you on a tour of the area by water on a pontoon boat. The cost when we where there was $35.00. It was well worth it and the guide was well versed in the local lore and tales of the area of which there are many. The tour lasted about an hour and since my wife was interested in birds and we were the only ones onboard the tour guide accommodated about anything we wanted to do such as stop to take a picture and if necessary chase a bird until we got the shot. There is a wide variety of accommodations at the park. 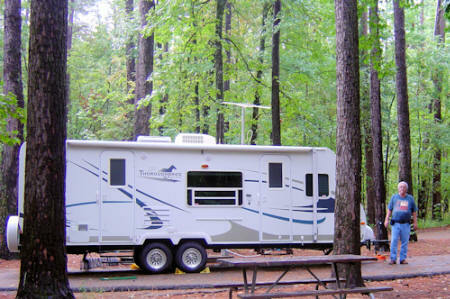 Everything from full hooks ups, to tent sites, screened in shelters and cabins. It is all heavily wooded. You can forget aiming your satellite dish. We were in the park for a week and I believe we were the only campers. It was just us the animals and the rangers. Just the way I like it.